I’ve always loved making trails and guides – I first made one for our family back garden when I was a child. 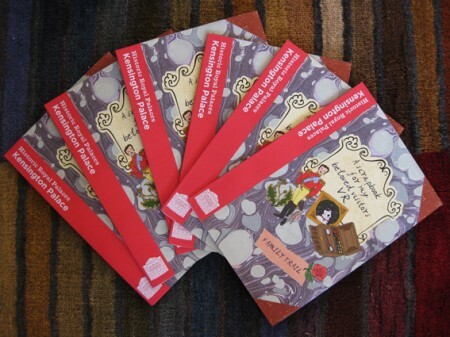 But it was a double-treat to be asked, earlier this year, to design one for one of my favourite museums – the V&A. 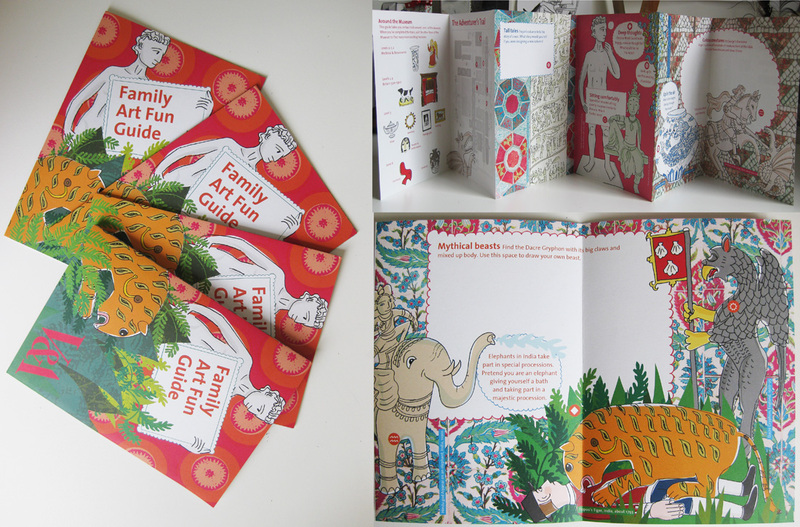 The family trail has now been printed and is available for free for any families visiting the V&A – it takes you round highlights of the collection on the ground floor, with suggested activities and some space to draw. This entry was posted in Family guides and trails on July 1, 2015 by Jane Porter. If you’re in London with children this half term, drop in to the V&A for some free family fun inspired by willow pattern china. The Imagination Station is running two activities that I designed for them – you can design a plate and jug, and you can also make a scale to add to a giant Chinese dragon – all in blue and white. SHown above are some brilliant examples done by children today. You can also find out all about the willow pattern story, and marvel at the amazing collection. They’ve even got a gigantic jug almost big enough to hide in – check it out in the Ceramics Gallery. It’s been fantastic working with the V&A – it’s one of my favourite museums and I never, ever get bored with looking around. Hope you can visit too. There’s more info here. Many thanks to the V&A for permission to use the images. This entry was posted in Family guides and trails, Illustration on February 14, 2015 by Jane Porter. I am hugely looking forward to a very special event tomorrow – the grand re-opening of the London Museum of Water and Steam (formerly Kew Bridge Steam Museum) after a big refurbishment. 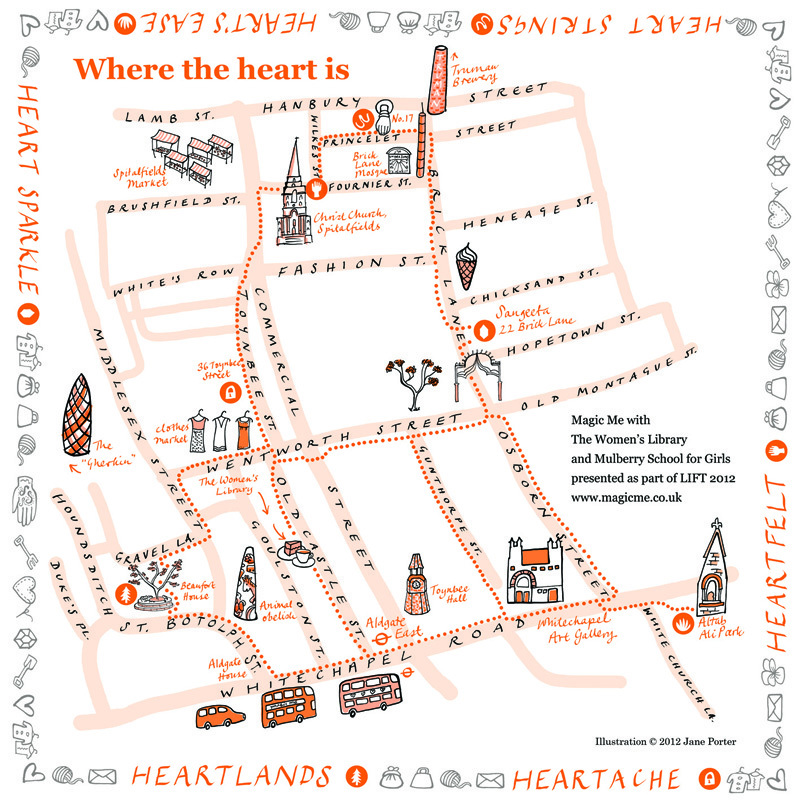 I’ve designed, written and illustrated the family trail for the museum – it’s based around the character of Robert Smith, a 15 year-old boy who worked there when it was a functioning pumping station in Victorian days. If you’ve never been there (or even if you have), it is well worth a visit – it’s fabulous for families (specially with the brand new splash zone and the ever-popular steam-engine hauled rides at weekends). It’s also a must for anyone interested in Victorian architecture and engineering, and it’s a wonderful place to go and draw for the day – the engines are breathtaking in both scale and detail (Dickens went there and said “What a monster” when he saw the Ninety-Inch engine). It’s a particularly special place for me as both my parents are volunteers there, and I even had my wedding reception there many years ago. If you’re visiting, make sure you go up past the Hammersmith Beam to the wonderful wildflower and vegetable garden which was created by my mother – and don’t miss the Victorian lady scarecrow she made to keep the birds off the broad beans. This entry was posted in Family guides and trails, General news, Illustration on March 20, 2014 by Jane Porter. What has nearly 8000 pipes with names like poetry and makes a sound as humungous as an elephant? The answer is the spectacular organ at the Royal Festival Hall, which has spent the last two years being restored and is ready to play again from next week as part of the Southbank Centre’s grand gala launch and Pull Out All The Stops organ music festival. The Southbank Centre asked me to work with two schools, Telferscot Primary in Balham and Annfield Plain Junior School in County Durham, to create a children’s guide to the organ, for and by children, and the guide will be given away to visitors to the festival. I got the children to imagine the organ as a living organism, a community of different animals making different sounds, and then I put their drawings together and matched them up with the different types of pipe (which have the most marvellously evocative names). We also invented a board game, which is on the back of the guide and can also be downloaded here, and instructions to make your own organ, which you can download here. You can watch the two fantastic films the children created with animator John Harmer and film-maker Samantha Harrie, explaining how the organ is made, and how it works, here. It’s been a very exciting project to be involved with, and I am looking forward to seeing all the children again at the launch – they were very inspiring to work with and had so many brilliant ideas. Many thanks to all the children and staff at both schools, to Alice from the Southbank Centre, and to John and Sam for being such fun to work with – and of course to the organ itself! This entry was posted in drawing, Family guides and trails, Workshops on March 10, 2014 by Jane Porter. I’m working with the National Trust this autumn at Sutton House, the oldest house in Hackney, on an exciting Black History Month project celebrating the lives and legacies of nine Influential Black Londoners. The project is in two parts: the first was for me to devise a creative response to each of the historic figures, and display it as an exhibition in the different rooms of this wonderful Tudor house. 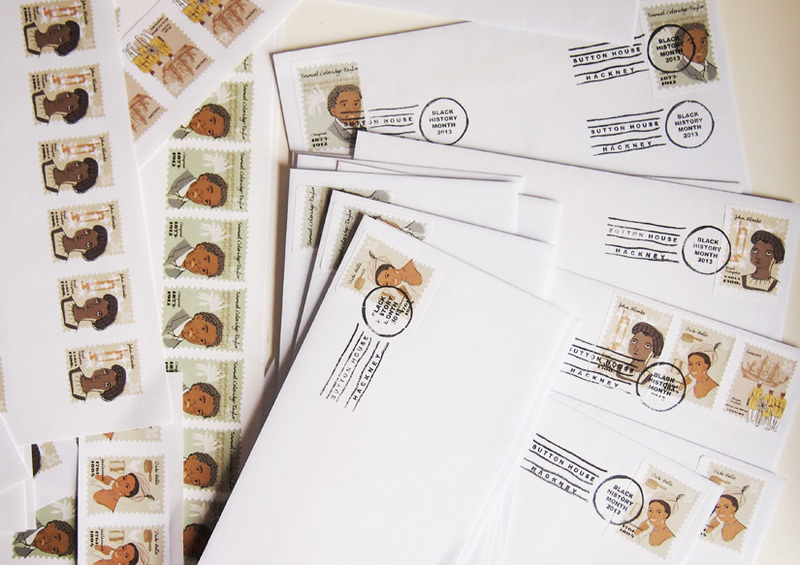 I decided to create a set of commemorative stamps, complete with a rubber stamp postmark – as you can see in the picture above, I have had great fun playing post offices to test them. I spent yesterday at the house putting up an exhibition with the help of two lovely students, Daisy and Sean – as it doesn’t open until Sunday I’ll post more about it all then. Part two of the project is to run a series of eight creative workshops with local primary schools – the first is next week. I’ll report on this as it goes along, but it’s exciting to think of the exhibition growing week by week and showing the work of hundreds of young minds. This entry was posted in Exhibitions, Family guides and trails, Illustration, New ideas on September 26, 2013 by Jane Porter. 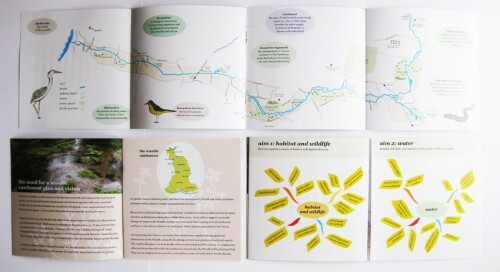 I went down to the river Wandle yesterday afternoon to pick up copies of the booklet I illustrated and designed for the Wandle Trust – I mixed paper-cuts and wildlife drawings with photographs and a hand-drawn map for the centre foldout spread. It’s printed up very nicely – and thankyou to the Wandle Trust for the lovely bouquet of flowers! 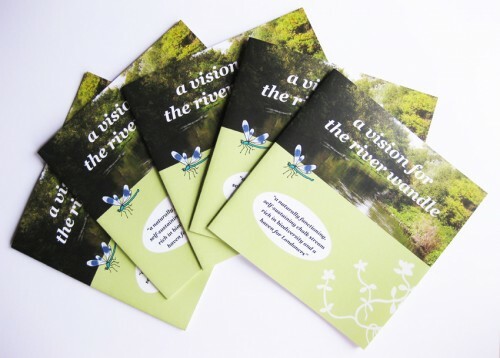 I hope the booklet will help secure an environmentally sound future for this lovely urban chalkstream. This entry was posted in Family guides and trails, Illustration, River projects on May 13, 2013 by Jane Porter. How straight are your cucumbers? Victorian and Edwardian gardeners had a gadget for just about everything – apple pickers, seed tweezers, grape ripeners…but my favourite is probably the cucumber straightener. The Garden Museum in Lambeth, south London, has a marvellous collection of such items, as well as pony shoes, paintings, a very charming miniature garden with teeny little garden rollers and benches – and yes, a few gnomes too. I’ve just finished making a family trail for the museum – a little bit of it is shown above but you’ll have to go on a visit there to see more. As an extra incentive, I can tell you that the cafe is very, very delicious. This entry was posted in Family guides and trails, Illustration on April 25, 2013 by Jane Porter. 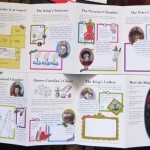 I’ve just received a package from Kensington Palace – the printed version of the concertina-fold family trail I designed, illustrated and wrote for the King’s Apartments there. 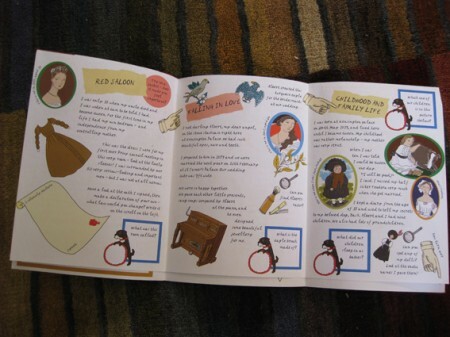 It’s full of things to spot, things to do and boxes to tick – just in time for half term. The palace is well worth a visit – masses to see and do for all ages. 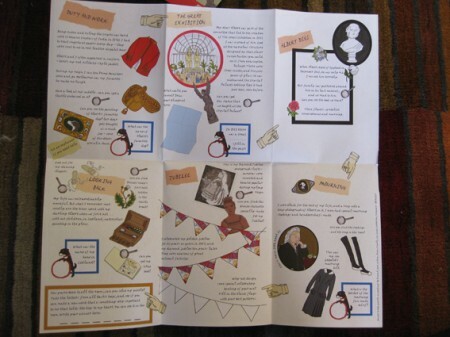 It’s been great working with the Historic Royal Palaces team again – previously I’ve produced a family trail for Victoria Revealed (details here) and a hand-made book for the outreach team (more here). 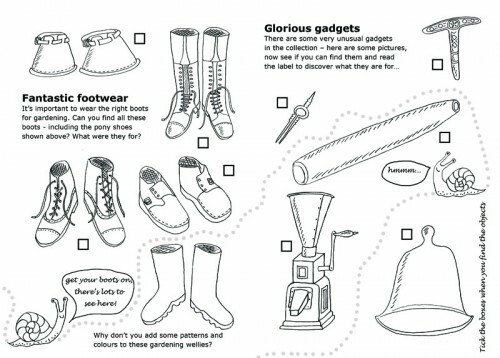 This entry was posted in Family guides and trails, General news, Illustration on November 1, 2012 by Jane Porter. 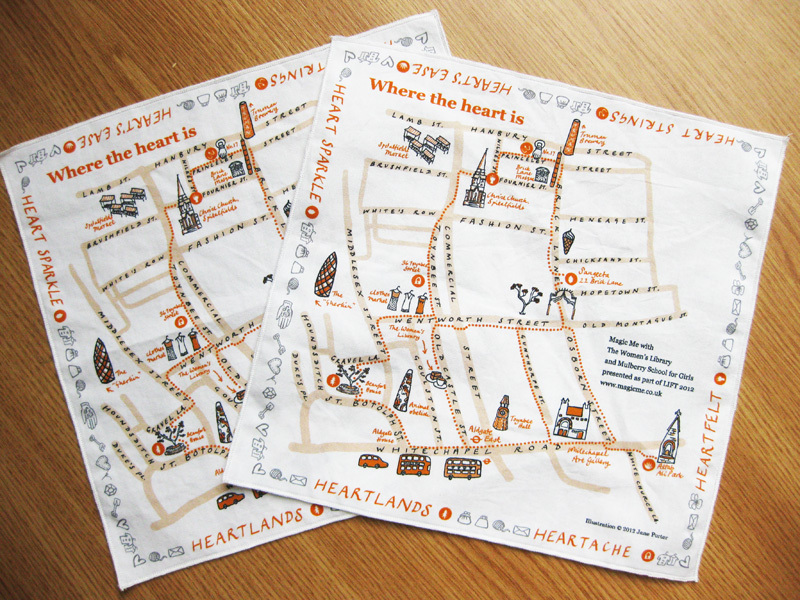 I had an unusual commission earlier this year – to design a map for a handkerchief. It came from the intergenerational arts organisation Magic Me, who do wonderful projects in the East End of London linking up older and younger people, getting them to share stories and explore ideas together. 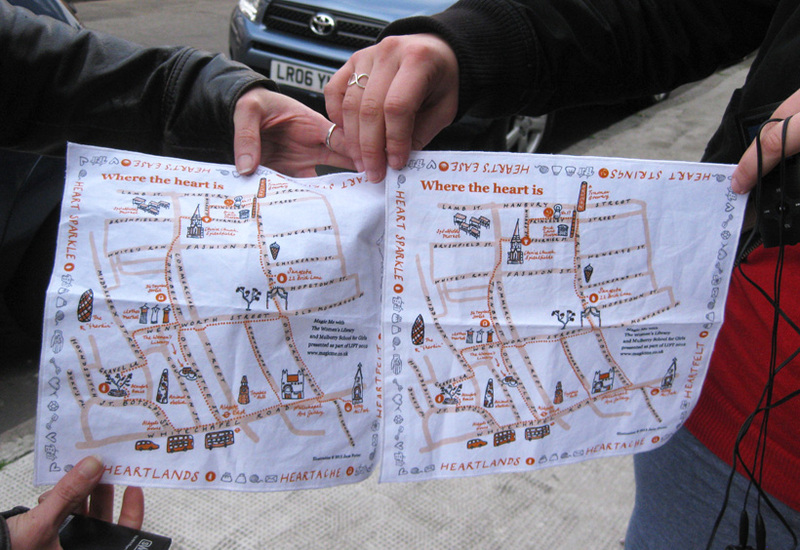 Yesterday I had the chance to attend the rehearsal for ‘Where the Heart Is’, a tour (guided by handkerchief) of six locations around Whitechapel where films are showing, to be accompanied by podcasts, of the love stories of a group of girls from Mulberry School and some lovely older ladies who have lived in the area for most or all of their lives. I really enjoyed chatting over a cup of tea to the regulars from the group, then listening to the recordings of their conversations with the girls, interspersed with singing and carefully chosen sound effects. Each of the six recordings is based on a different type of love – romantic, family, home etc, and they are all very moving. You can find out more – or even book a place for the tour which includes tea and cake – at LIFT 12. The group were also on Women’s Hour on Radio 4 today – you can listen again here. 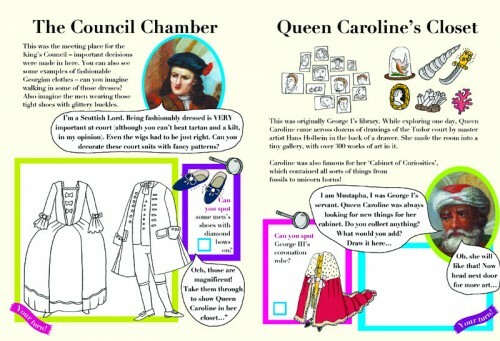 This entry was posted in Family guides and trails, General news, Illustration on June 27, 2012 by Jane Porter. 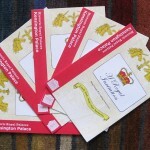 My family trail for Kensington Palace‘s new permanent exhibition, Victoria Revealed, is now finished. The exhibition opened this week and gives visitors a chance to see many of Queen Victoria’s personal possessions, from her elaborately named dolls to her paintbox, stockings and dancing shoes. 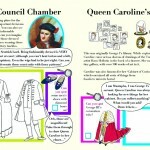 The family trail I’ve designed and illustrated helps visitors learn a little more about Victoria’s life, and there’s also a puzzle to complete. I made a font out of my own handwriting to give the trail the feel of a personal scrapbook, with lots of overlapping images. 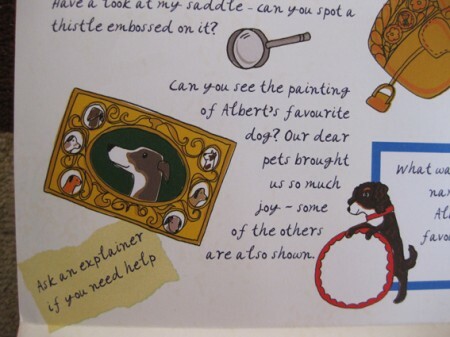 Today I visited the palace to do a few final tweaks – it was lovely to see all the exhibits in place, particularly my favourite: a very tiny painting of Albert’s greyhound, Eos, with thumbnail sized portraits of Victoria and Albert’s other dogs all around. This entry was posted in Family guides and trails, General news, Illustration on March 28, 2012 by Jane Porter.